Museum of World Treasures: Spring Break 2014, "Week of Heroes"
Spring Break 2014, "Week of Heroes"
The Museum is excited to host the second annual Spring Break "Week of Heroes" March 17 - 21. This event was a great success in 2013 and will be bigger and better this year. 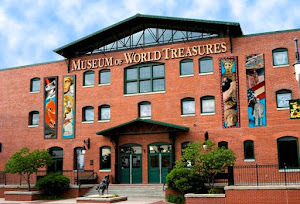 Discover heroes in local, national, and world history through the Museum's exhibits. Meet local veterans, military members, police, and firefighters. 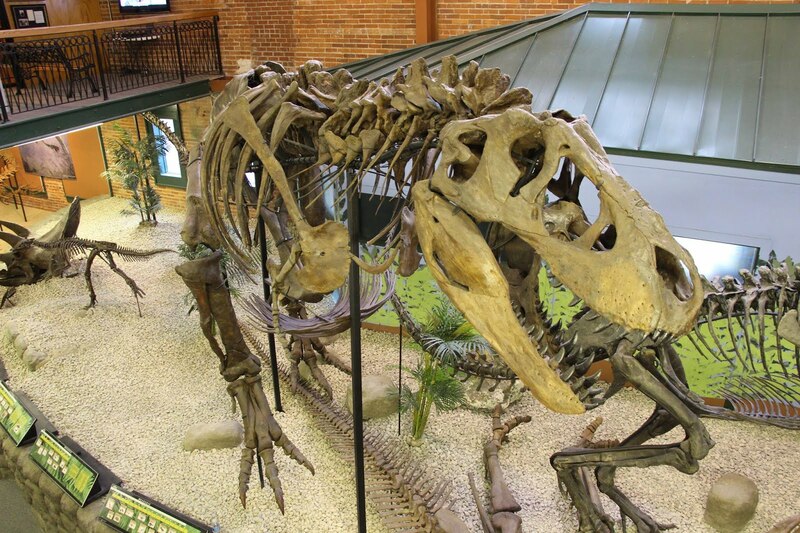 Enjoy themed crafts, fossil hunting, and educational activities all week. The Museum is open Monday - Saturday, 10 a.m. - 5 p.m., and Sunday, noon - 5 p.m. All activities are free with general admission. 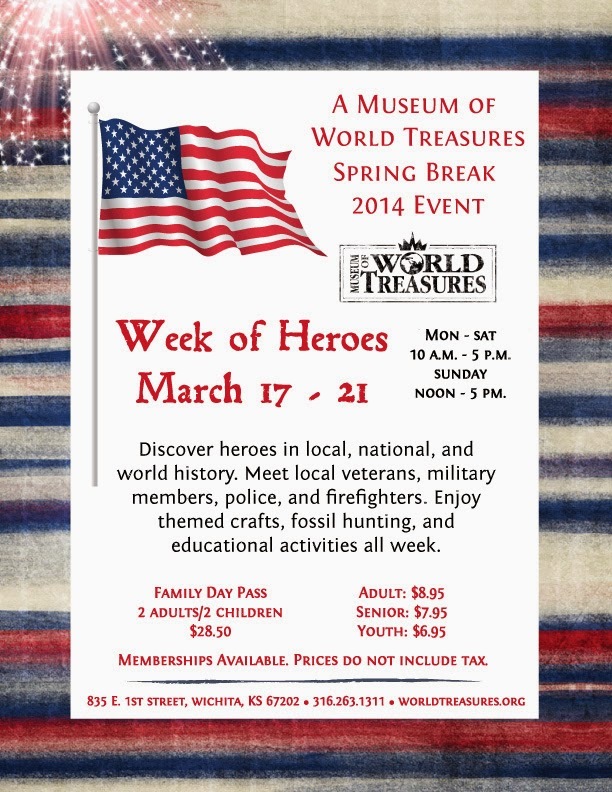 Please call the Museum at 316.263.1311 for more information or to register as a volunteer for this event.